My team of Coldwell Banker real estate experts represent the best and brightest in the industry, and we’re always striving to lead the field in research, innovation, and consumer service. Today’s buyers and sellers need a trusted resource that can guide them through the complex world of real estate. 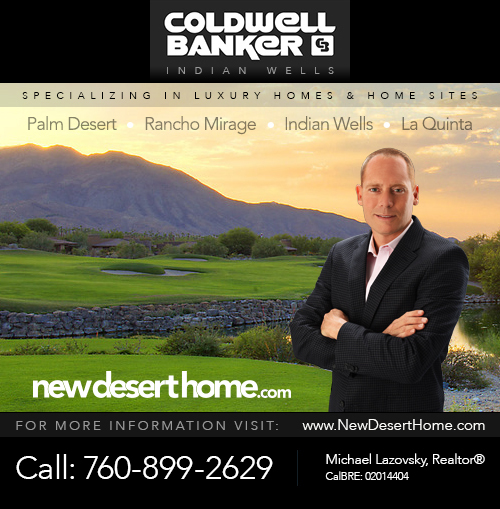 With Coldwell Banker’s extensive knowledge and commitment to providing only the best and most timely information to our clients, Michael Lazovsky | Coldwell Banker is your go to source for real estate industry insight and advice for properties throughout the Desert Cities and Mountain areas of Southern California.